One-on-One Aviation Lessons & Convenient Class Schedules. Train at our Flight School For Private, Instrument, and Commercial Ratings. 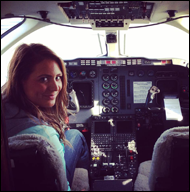 Take to the skies with advanced aviation and aircraft lessons from Safety In Motion of Olympia, Washington. Our instructors are professional pilots. Invest in the best aviation lessons around! Join us Tuesdays and Thursdays for our 10-week, 50-hour ground school. Classes run from 6 p.m. - 8:30 p.m. and are just $395.00. Books and materials are sold separately. Classes start November 6th, 2018 Call us to Reserve a spot! Contact us at (360) 754-4043 in Olympia, Washington, for in-depth aviation lessons at rates you can afford.